Pricing is one of the toughest decisions for an online business owner selling their own products. 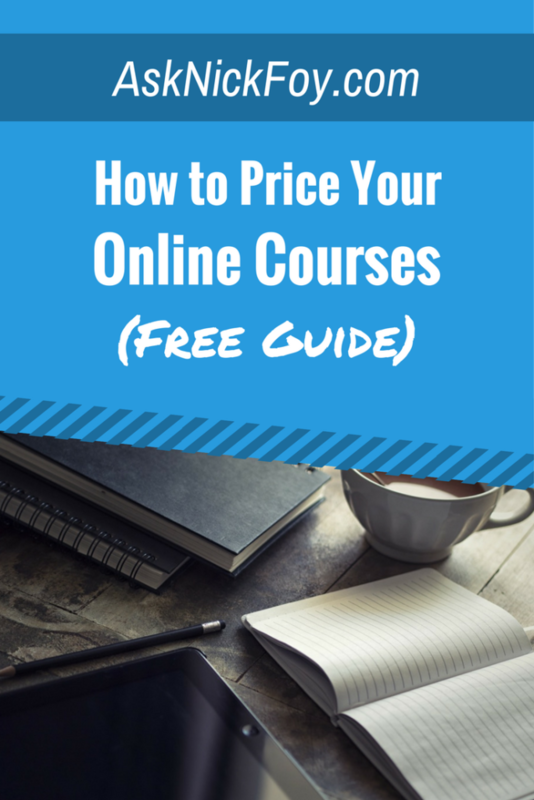 In this guide you’ll find important tips to consider when pricing your online courses and products including a HUGE mistake you should avoid making! 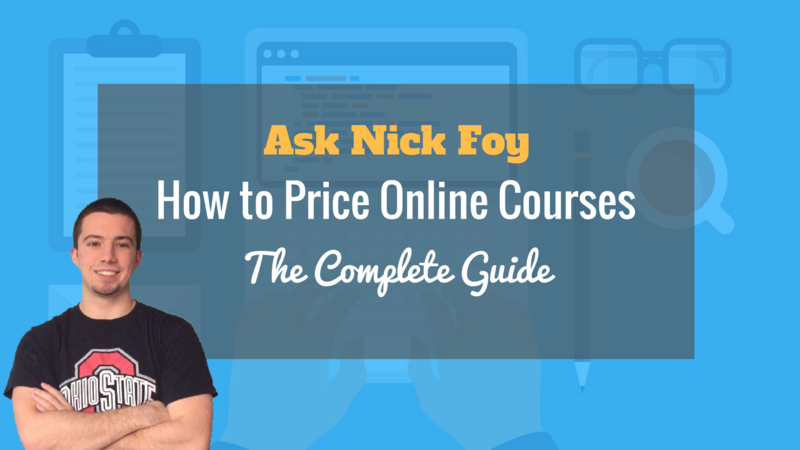 Before I jump into this guide on pricing online courses, I want to introduce myself. 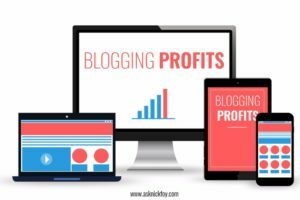 I’m Nick Foy, a digital business consultant who helps other online business owners and entrepreneurs create, grow, monetize, and profit from their businesses. I love seeing success stories of people who were able to quit their full-time job they didn’t like in order to follow their true passion. If your passion is to make a living from selling courses, blogging, and other online income streams then you’ve come to the right website. AskNickFoy.com is full of tips, both beginner and advanced, covering topics like websites, WordPress, email marketing, social media, blogging, SEO, and more. I look forward to seeing you around my website and I would love if you’d join my community by subscribing here to the email list community or joining our amazing Facebook community here. When you are creating an online course or product to sell, the first thing you need to consider is the value you are giving away. The more value you give away, the more you will be able to charge customers. One way to increase the perceived value of your course is to throw in “bonuses” and “free extras” so that people feel like they are getting more for their money than just the course itself. It’s important to highlight and convey all of the features the customer is getting when they purchase your course, product, membership, etc. so that it is crystal clear and they know what they are getting for their money being spent. Failing to market effectively can reduce the perceived value of your course, but great marketing can raise the perceived value also. 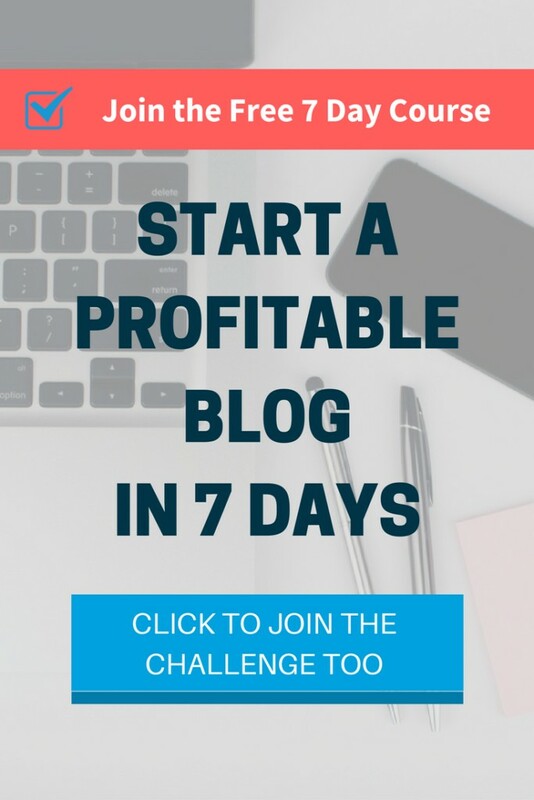 Since you’re likely here today looking for concrete strategies you can use to price your course, here are two pricing strategies I used when I built my 5 figure online business as a college student and still use today. Do you have an email list or social media following? Why not take advantage of these resources at hand and go directly to the potential customers for answers. Send out an email explaining that you’re going to be launching a new course/product and want their feedback on what price they would pay for this course if they hypothetically were to buy it. Highlight all of the features of the product so the person knows exactly what they are getting and wait for the feedback emails to roll in with a perceived value the subscriber took away from reading the email. This method works because you are taking the pressure off of them by letting them dictate the price they would pay and since you’re just conducting a survey gathering feedback, the recipients don’t feel like they are being sold even though they indiscreetly are. After getting an email from you about your course and getting to share their input, your email subscribers will feel part of this course already since they helped you dictate the price. They’re also aware of the course and its features now which may have peaked their interest, creating desire and a longing for the launch day when they can get their hands on it finally. You can use the survey method to price your course initially during the launch, but overtime I recommend changing the price to test different pricing points and see which produces the best results. When I first started selling online courses, I made the mistake of pricing my course too low which we will talk about in greater detail shortly. Once I raised the price of my course to a more reasonable amount considering the value I was giving away, I actually saw a boost in sales and attracted more customers. It’s a strange feeling at first because you naturally want to expect the opposite and think that raising prices will create less demand for your product. The average pricing points that customers have become conditioned to seeing when they shop for online courses is $197 to $497. To charge the big bucks ($1000+) you usually have to offer some awesome add-ons such as access to mastermind groups, coaching calls, one on one mentoring, etc. Additionally, once you’ve become a well established expert in your industry you can raise prices and charge higher rates because you have the success and credibility that places your perceived value higher than a competitor who is charging lower prices. When you first start teaching online, it can be hard to resist the temptation to charge a low price for your course. Maybe you don’t have the confidence to charge a high price. Maybe you don’t have a lot of content to include in your course yet. 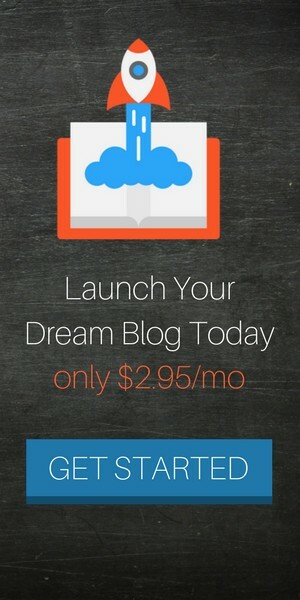 Maybe you have no idea what your target market is willing to pay for your course. Maybe you don’t have a large audience or email list you can promote your course to. Whatever the case is, I totally get it. The first course I sold, I only charged $37 and it was definitely worth over $100. Couldn’t They Find the Same Free Info Online? The first question on your mind is why would anyone willingly pay a high price for a course full of information they could find for free on the internet through articles, YouTube videos, podcasts, free eBooks and audio books? To answer this, you have to realize that there are different types of people in the online world. The first group of people are those who don’t want to spend hours sifting through different free sources of information looking for answers to their problems. Instead, they would rather spend money for a well-designed course that organizes and teaches the information they are seeking in a time saving manner so they can quickly digest the information and apply it to their life/problems/etc. The second person is a cheap person who likes spending hours searching for free information from hundreds of different sources. This is probably a person who will not buy online courses and someone you shouldn’t worry about when creating your online course or informational product. There are also people who routinely buy several courses from inexpensive course marketplaces (where courses typically sell for $50 or less), but never actually complete them. Like unopened books on a bookshelf, these courses often collect “virtual dust” until they’re forgotten about or become obsolete. It’s a tragedy in the world of online education. Your focus should instead be catering to group #1 who are willing to pay a premium for information because it’s convenient and saves them time from searching. They want to learn from and have access to an expert, and they want to pay for that privilege. Not only will they complete your course, they’ll also implement what they learn. Truth be told, some people actually enjoy spending money on courses just like people enjoy shopping for shoes and clothes at the mall. I’m an education junkie myself and love to learn. I have a massive bookshelf full of self-development related books and I’m sure you are someone who also enjoys self-development if you are considering teaching other people. Don’t make the mistake of thinking that people will buy something just because it’s cheap. People tend to associate value with price so a low price may signal to them that your course is giving away low value. If the price is cheap, the product must be cheap. That’s the assumption your target market will make. As a general rule, both online and offline, you get what you pay for. Since most buyers believe this to be true, this means that selling your course for a low price dramatically reduces its perceived value. No matter what price you set for your course, someone out there will always be able to beat it. Competing on price alone is a race to the bottom. Customers that are loyal to the seller with the lowest price are not the kind of customers you would want anyway. Don’t waste your time trying to serve these people. Focus on marketing your course to people who will respect the value of it, and who aren’t going to cancel their purchase and ask for a refund the moment they find a similar course that is cheaper. When you sell your course for a low price, it makes you lazy with your marketing. Think about it. Would you invest a significant amount of time and money marketing your course if each sale was only worth a few dollars to you? Probably not. The effort to get someone to buy is only marginally easier at a lower price point. Pricing and discounts can help with that psychological tipping point to make a purchase, but pricing is only part of that equation. Getting leads, nurturing them, and eventually selling to them requires an investment of time, effort and in many cases, money. The sales process you guide someone through in order to sell a lower priced course probably won’t be much different from the process you guide them through to buy a high priced one. Consider a time you spent $10 or $20 on a book. Did you finish that book? Odds are, you have some books, courses, and products you’ve purchased before that you didn’t end up completing nor using. This is the same concept with a low vs high priced product. Someone who purchases a more expensive course or online product is more likely to finish it because they don’t want to feel like all of their money went to waste. Spending several hundred dollars on a course is more likely to motivate someone to complete that course than spending $30 on the same course. When is it appropriate to price my course low? In the Guide to a Successful Course Launch, I share with you the importance of getting beta testers to run through your product so you can test for any errors as well as get feedback as to what could be improved. To create this test group , I recommend pricing your course low rather than letting these people in for free. Send out an email to a limited number of people letting them know they are special and receive access to your product as beta-testers at a reduced price. The other time it’s appropriate to price your course low is if you are offering a rare holiday sale where they can get access at a deeply discounted price. This will hopefully spark a very high volume of people purchasing your course and making you several thousands dollars during that sale period. Then close down the sale and don’t offer it again for a long time. Ideally, you don’t want to offer sales very often or your customers will get conditioned to waiting for the sale that they know is coming every few weeks. I typically offer a sale once or twice for the entire year. I’ll even raise prices sometimes and send out an email to everyone notifying them of the price increase so that it creates urgency if they want to purchase the course at the cheaper price before I raise it. Overall, just remember that there are thousands, millions, and billions of people on the internet each day, month, year so make sure you are focused on attracting the high quality customers who will willingly pay a premium price for access to your content. Weed out the low quality customers by pricing your course higher and delivering phenomenal value to the customer so that they feel like you undercharged them for the course. It’s an awesome feeling when you have someone email you after purchasing your $500 course to tell you they would have paid any price for the course, even $5,000. P.S. Do NOT miss out on the latest guides and important content I send to my exclusive email community. Subscribe to my list now and I’ve got a free bonus when you join! Click here to sign up.